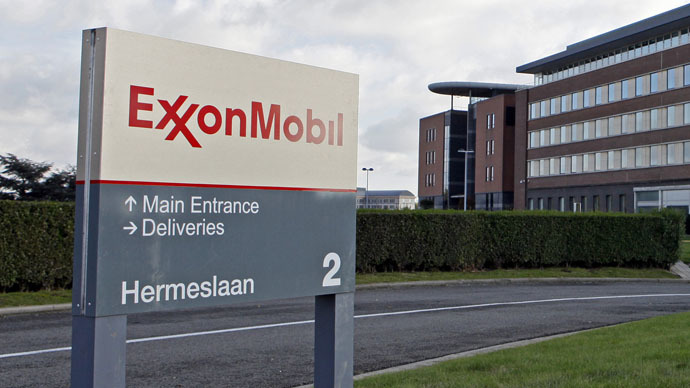 Exxon Mobil Corp. has continued to buy rights to develop Russian oil deposits despite sanctions, increasing the area from 11.4 million acres to 63.7 million acres in 2014. It’s an area larger than the UK. In the US the oil major owns the rights to develop 14.6 million acres, and until last year was the company’s biggest single asset. Although Exxon had to suspend development of the Arctic shelf in October due to the sanctions, the company continued to stake rights to areas of Russia that can bring in tens of billions of barrels in the coming decades. Last year the company added projects in the Laptev and the Chukchi Seas to ones in the Kara and Black Seas which it owns jointly with Russian oil company Rosneft. Exxon’s exploration rights expire in 2017-2023, as Bloomberg quotes the data from regulatory filings. Exxon has increased its Russian reserves at a time when Western countries are trying to isolate Russia, which likely means Exxon expects sanctions to be short-lived, said Timothy Ash, chief economist for emerging markets at Standard Bank Plc in London. The company made a bid for Russian deposits after a number of unsuccessful oil projects in other countries and a cut in expenses. The company’s fourth-quarter output fell to a 15-year low, and its shares lost 8.7 percent of their value in 2014, which was the sharpest annual decline since 2009. Geologists aren’t yet able to estimate the oil volumes Exxon can extract from the region. In 2012 the Russian authorities said the potential is so high that their development will require new airports able to receive thousands of drillers, as well as many offshore platforms. The development of fields in the Kara and Black Seas alone will cost up to $350 billion, said the current head of Rosneft Igor Sechin back in April 2012 when he was deputy prime minister.